Here's a blog I think you'll really get into. You'll find a little bit of everything at Make Grow Gather. This recipe was one I had to pass along... if you find yourself dreaming in cheese you will be having sweet, sweet dreams tonight! 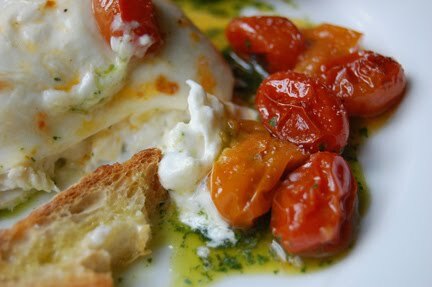 Check out yesterday's post: summer food: burrata mozzarella, roasted sun golds & basil oil. Tomato Cage Lanterns - so clever! go look for yourself! I know you'll find something you love too!